The 2019 season begins Thursday, March 21 and continues through Thursday, August 29. 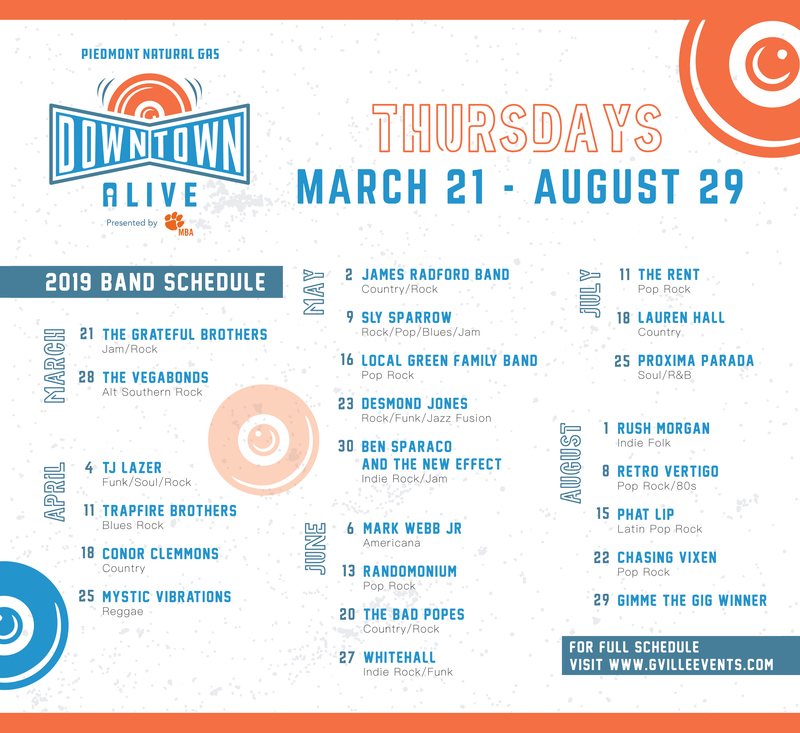 This year’s Downtown Alive season features 20 new bands, 15 of them from the Upstate, and last year’s popular Beats and Bites food truck roundup returns each week. Also returning this year is the Gimme the Gig contest, in which local bands vie for the chance to perform at the season finale of Downtown Alive on Thursday, Aug. 29. Piedmont Natural Gas Downtown Alive opens at 5:30 pm and closes at 8:30 pm. Bands play two sets at 5:50 pm and 7:20 pm on the Harley-Davidson of Greenville Stage. Please visit the City of Greenville website for additional information.